If you are in need of a Luxembourg passport photo or visa photo, Reload Internet is the best passport photo studio to come to. 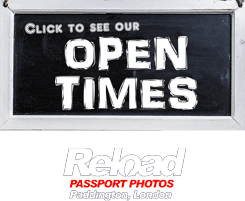 We operate in Paddington, London, and have been open for well over a decade, taking hundreds of visa and passport photographs every single week. Our staff have been trained to provide you with a set of 6 Luxembourg passport or visa photographs, which are of high-quality and meet all of the specifications. These photographs come with a guarantee to be accepted at the Embassy of Luxembourg, and our service costs just £9.99! 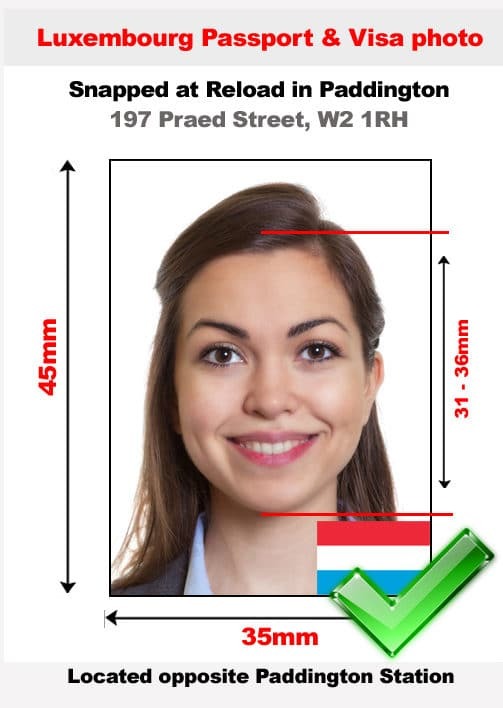 Our store stays open every day of the week, from early in the morning until late in the evening, allowing for you to have your Luxembourg passport photo or visa photo captured, printed and prepared at a time that suits you! You don’t even need an appointment, just stop by and we can have your Luxembourg passport photo or visa photo ready within 10 minutes of your arrival! You must ensure that your Luxembourg passport photo or visa photo meets all of the necessary criteria listed below, as if not it your application will likely be rejected at the Embassy due to a photo error. Reload Internet can guarantee that this will not happen to you when you get your Luxembourg passport photo or visa photo taken by us. You must submit two photos clicked against a light background and the photo should be of a size 45 mm X 35 mm. Ensure that the photo you submit is recent. The photo must be clicked against the appropriate contrast with proper brightness. Do not change the skin tone and maintain the original tone. The top of your shoulders along with your complete face must be seen. You should look straight in the photo and there should not be any expression in the photo. The focus should be on your face and there should not be any lines, ink marks or creases present. From the top of your forehead to your chin, the photo must comprise of 70% to 80% area of your face. Your hair should not cover your eyes and the eyes should be visible clearly. If you have the habit of wearing glasses, make sure that they are clear and in no way cause an obstruction or reflection on your face. Your eyes should appear clearly. There should not be any facial ornaments, head dress or hair that obstructs your face. The photo you submit should not comprise of any other things or people. Ensure that there is no red eye in the clicked photos. Light should e uniform all over your face and there must not be any shadows. Make use of a professional photo studio for printing the photos in a high resolution. If the applicant is a baby, closing of eyes is allowed. The requirements for Luxembourg Visa photo are similar as that of Luxembourg passport photo. You should submit two photos of dimensions 45 mm X 35 mm. The image should comprise of 31 mm to 36 mm of your face. The photo should be recent and should be in compliance with the ICAO guidelines. The photo should be clicked from the front without showing your teeth and must be a color photo. The applicant should directly look into the camera and the eyes should not be covered by hair or glasses. Click the photo on a level straight with the camera. If you are wearing glasses, there should not be any glare on your eyes and they must be visible clearly. While clicking the photo, you must look straight into the camera and the position the camera lens in a straight line to the camera. There are chances of rejection by Luxembourg authorities if you wear glasses, as there are high chances of a glare in the photo. The face must be visible clearly in the photo and the glasses should not cause obstruction of any manner. Our specifications are taken from the Luxembourg Embassy’s guidelines on passport and visa photographs, which you can see here.